A 20-year decorated veteran of the United States Marine Corps, Joseph Waters is prepared for whatever a case throws at him. With a thorough knowledge and experience in family law, he’s equally skilled in the courtroom as at the mediation table. He has served with various units throughout the world, including 9th Communications Battalion, 1st Intelligence Battalion, Marine Wing Communications Squadron-18, 1st Maintenance Battalion, I MEF G-2, and Marine Corps Communications Electronics Schools. An efficient, compassionate divorce attorney, Joseph approaches each case with a tactical eye. 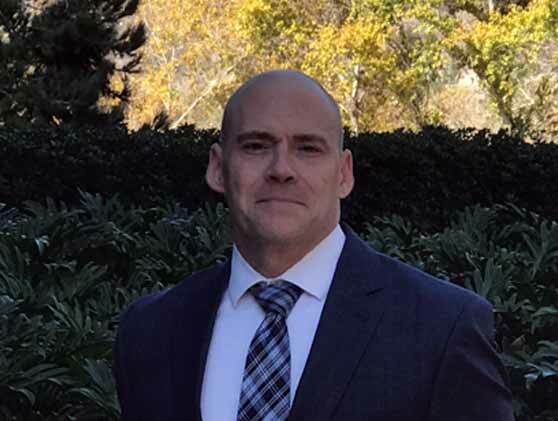 With strong litigation skills and a deep dedication to his clients, he’s a key member of the Goldberg Jones team and a valuable resource for the husbands and fathers of San Diego. Joseph recognizes that if you need his help, you’re probably going through a tough time. Empathetic and personable, he aims to provide the best possible advice and representation in order to support his clients in their time of need. In addition to his military service, Joseph received his bachelor’s degree in computer information from Park University. Following that accomplishment, he then earned his juris doctor from Concord Law School in Los Angeles. Committed to those he represents, Joseph Waters is a strong advocate for the husbands and fathers of the San Diego area in divorce, child custody, and other family law cases.